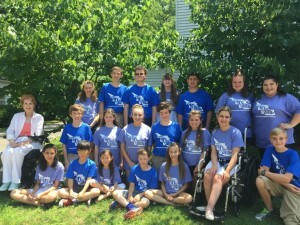 Our tenth annual summer Performing Arts Camp at Stony Brook Community Church is now a memory but our eleventh season is now open for registration. Click on "2018 registration" below to register. 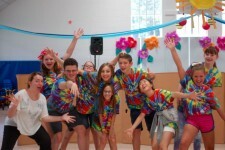 PAC is a Musical Theatre Workshop for ages 7 to 18 that includes acting, voice, dance, and improvisation leading to an open house performance of a musical commedy production on the last day. PAC is open to 20 children from age 7 to 18 regardless of their level of experience. 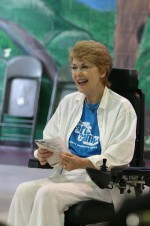 We are a small group, so we are able to accommodate the very talented as well as special needs children. Our students work on challenging material, sometimes learning multiple roles for a production. The 2018 session will last four weeks from June 25 to July 20, Monday through Friday from 9 a.m. to 3 p.m. with the final performances on the 21st. Enrollment is limited to 20 children. The cast pool party will be Sunday afternoon, July 22nd. Morning classes are held in our air conditioned Fellowship Hall and afternoons we’re in the gym in our Education Building. Our park-like playground allows for outdoor recreation at lunch break, weather permitting, and our facility is wheelchair accessible. Tuition for 2018 will be $650. We offer a 10% discount for siblings. A limited number of scholarships based on need will be provided. If you wish to be considered for a scholarship, a letter of request must accompany the camp application. The deadline for submission of a scholarship request is May 15. The requests will be reviewed by the Scholarship Committee. For more information email Camp Director Sherrill Jones at sherrilljones@icloud.com or call the church office at 751-0574 9:00-12:00 weekdays.